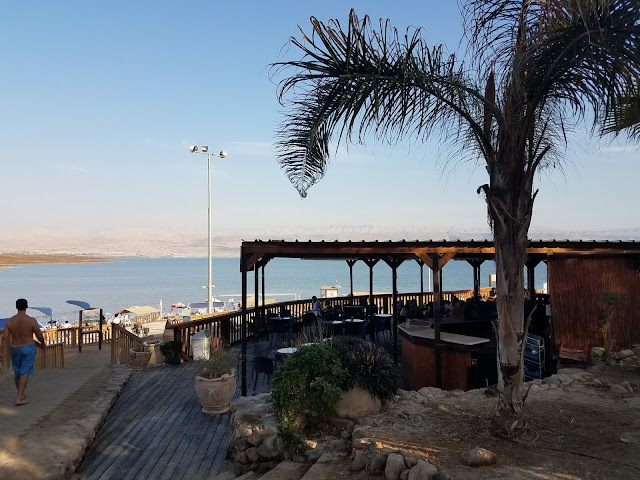 The Dead Sea... aptly named, I'm afraid. 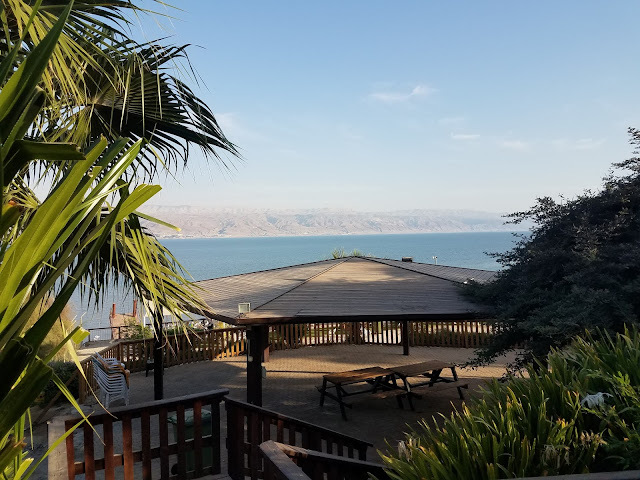 We were impressed by the distance between Jerusalem and the Dead Sea. And not so much by the miles traveled on the bus which took us there. It was even more impressive to consider the difference in elevation. Jerusalem 2,474 feet, above sea level. The surface of the Dead Sea, in contrast, is over 1,300 feet below sea level, and bottom of the sea lies over 2,300 feet below sea level. 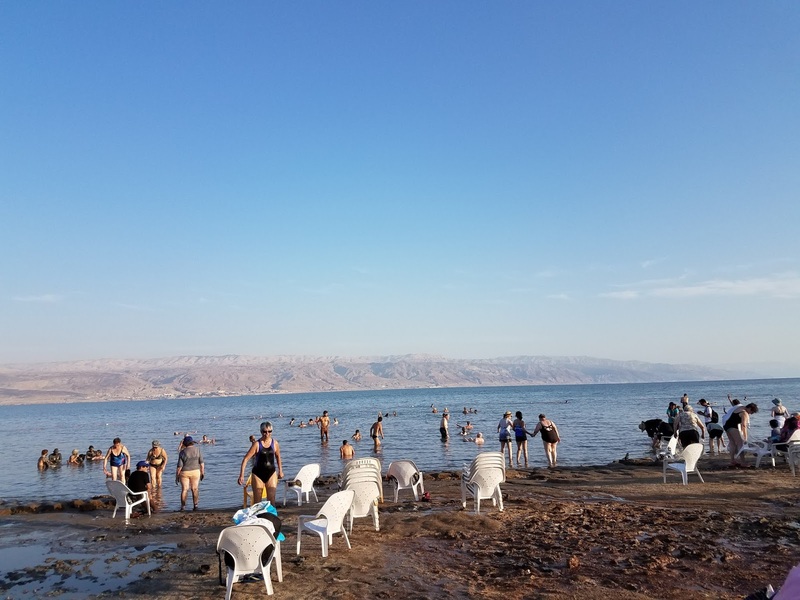 The Dead Sea is also roughly 10 times saltier than the Atlantic or Pacific, so we took the warnings not to get the water in our eyes quite seriously. Walking down to the sea involved traveling though sucking, stinking, black muck. I lost a flip-flop there and suspect it will be excavated centuries from now and cause quite a wonderment among the creatures which will survive us. Folks said that generous applications of the goopy stuff on the skin was beneficial but, frankly, I couldn't get into a shower quickly enough. And despite rinsing my swimwear vigorously and triple-bagging it in plastic, every item in my suitcase had to be washed or dry cleaned to get rid of the smell. So with apologies to those who have fond memories of the Dead Sea, I will gladly pass if I'm ever given the opportunity to visit Israel again.